Making dried sausage and salami has never been easier now that X-ray fat analysis is on the scene. See our one-minute video report on how the drying process has been made more predictable and cost-effective at the Clai cooperative in Bologna, Italy. At the same time, the MeatMaster X-ray analyser also helps to protect the famous quality of Clai products. All batches are measured for fat content and weight with the FOSS MeatMAster II X-ray analyser and simultaneously checked for foreign objects. Continuous measurements are used to standardise fat content in sausage and salami products. Quality is made consistent and, most importantly of all, the standardised fat content improves economy in the drying and curing process. X-ray results provide the platform for automated foreign object rejection and sorting of bins according to fat content. How much can we expect from X-ray fat analysis? Have you heard about X-ray fat analysis of meat, but still wonder about the real value. 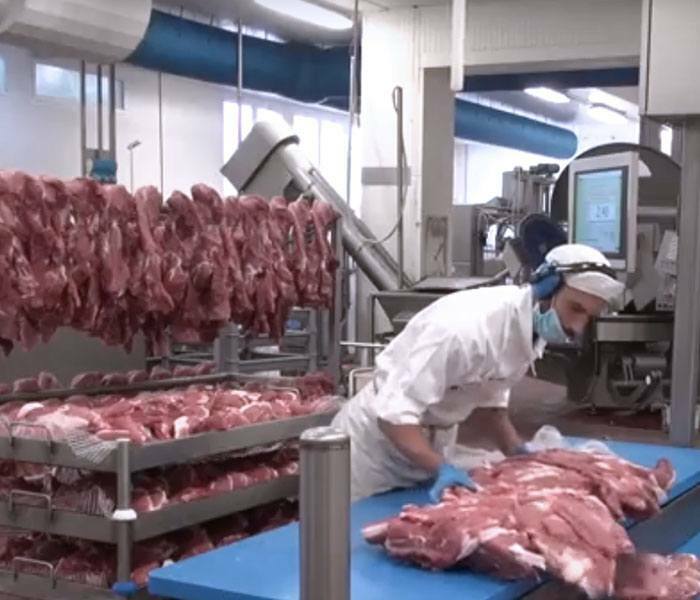 This video equips meat producers to make the right choices when acquiring an X-ray solution, including an in-depth look at why accuracy is so important and how just a slight improvement in measurement accuracy can yield thousands of dollars or euros per day. This video animation explains the benefits of automatic sorting for bacon producers such as; objective grading of cuts, foreign object detection, outstanding accuracy and savings on labour. An animated guide to using in-line X-ray for rapid and objective sorting of pork bellies on the production line. An animated guide to using in-line X-ray for rapid standardisation of meat batches on the production line. An animated guide to using in-line X-ray for rapid standardisation of meat batches for sausage production.